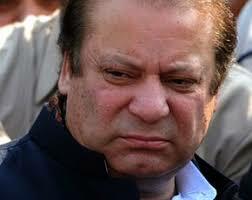 And now people are showing their concern for Nawaz Sharif as allegedly he was given food with ‘zehar’ in it! Yesterday, a news channel reported that Punjab Institute Of Cardiology conducted the Thallium Scan Test of ex-Prime Minister Nawaz Sharif due to security concerns and pressure from certain quarters. According to the hospital administration, one of the arteries of premier has been narrowed down which is affecting the blood supply negatively. But for further tests, they were not allowed to do that. 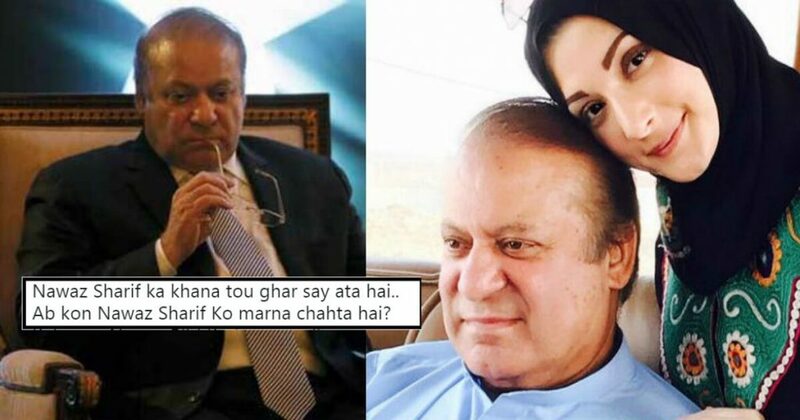 After that, Maryam Nawaz shared her concern for her father on Twitter. Soon after that, a YouTuber uploaded a video and claimed that the shattered health of Nawaz Sharif is all because of the food he has been given with ‘zehar’. The former Prime Minister ate the homemade food only and the YouTuber claims that Maryam Nawaz is giving ‘zehar’ to her father for the sake of throne! Here Is The Complete Link To The Video! And Here Is How Social Media Users Reacted To This News! If This Is True, Who Is Doing That? 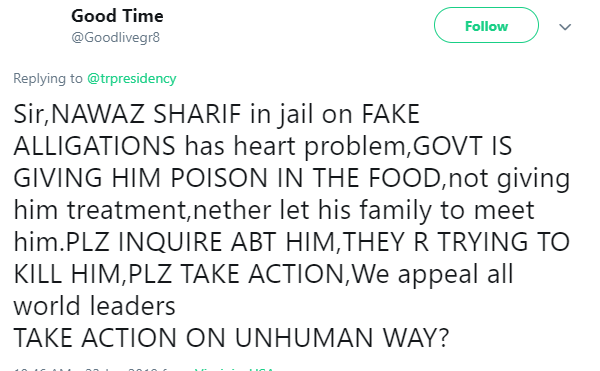 Nawaz Sharif meal was tested, Poison was find..
Nawaz Sharif ka khana tou ghar say ata hai..
Ab kon Nawaz Sharif Ko marna chahta hai? Kalsoom Nawaz Bibi Ko tou mar dia.. The claims of the YouTuber needs to be verified for the clear picture.